Singapore: Singapore Airlines Ltd and state investor Temasek Holdings (Pvt.) Ltd will not sell their shares in budget carrier Tiger Airways Singapore Pte Ltd in its planned initial public offering (IPO), according to a draft prospectus filed on Monday. Indigo Partners Llc, an investment firm which owns 24% of Tiger, will divest part of its stake, while the family that owns Irish low-cost airline Ryanair, with 16% of the Singapore budget carrier, will cut its stake if an over-allotment option is triggered. Tiger said: “We intend to use our net proceeds from the offering to fund the equity portion of our planned acquisition of Airbus A320 aircraft and the associated aircraft pre-delivery payments." It said the proceeds may also be used to establish potential new airline and/or operating bases, to repay all outstanding short-term loans which have been used to finance its aircraft pre-delivery payments and for working capital. The offering would be the first IPO by an airline company since India’s Jet Airways in February 2005, according to Thomson Reuters data. 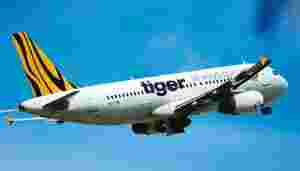 Tiger has grown rapidly since it began operations in Singapore in September 2004 and briefly turned profitable in its third year of service. The carrier, which also operates out of Australia, has 17 Airbus A320 aircraft in service with orders for another 55 A320s that will be delivered between now and 2016. Its Singapore operations are profitable, but the carrier clocked a 50.8 million Singapore dollars loss for the fiscal year to March due to costs incurred in starting up its Australia-based operations. Besides Singapore Airlines, Tiger’s other owners are: Temasek, which holds a 11% stake; RyanAsia, a company controlled by the founding family of Irish airline RyanAir, with 16%; and Indigo, which owns the remaining stake. Citigroup and Morgan Stanley are joint global coordinators, lead managers, bookrunners, issue managers and underwriters for the offering. DBS Group Holdings is the joint lead manager and coordinator for the Singapore public offering and joint underwriter.